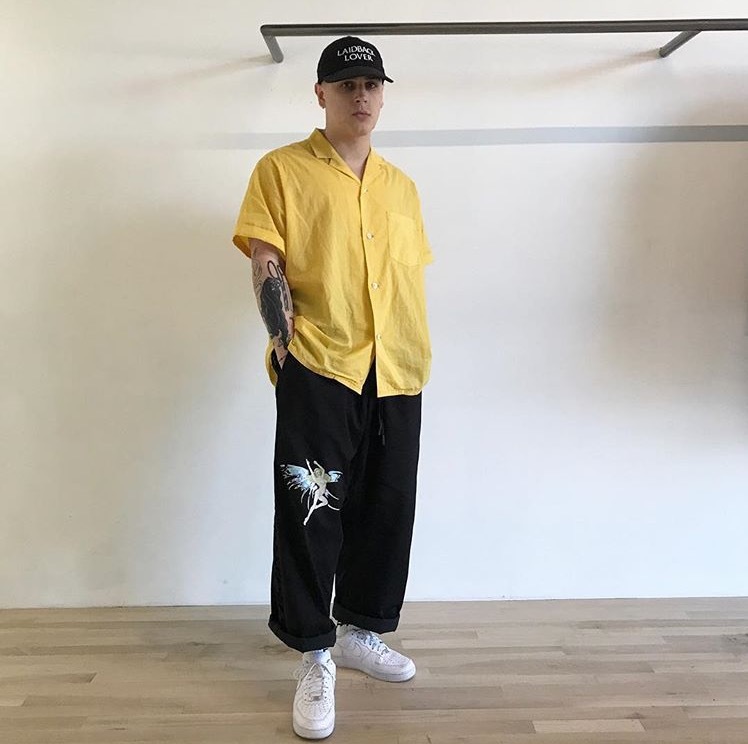 Second Layer hat- -Second Layer button up- Off-White "Seeing Things" sweatpants- Nike AF1. Yohji Yamamoto shirt & trousers- Kuboraum sunglasses- Undercover derbies. Undercover leather jacket- Acronym bag- Rick Owens tee- Acronym pants- Visvim sneakers. Vintage hat & sunglasses- Enfants Riches Deprimes overcoat- Devoa shorts- Vans. Yang Li tee- Rick Owens cargos- Rick Owens Ramone sneakers.